Paris (AFP) – A new, detailed breakdown of the modern rose genome should help growers improve traits such as pest and drought resistance, and boost the vase life of cut stems, researchers said Monday. A major export product, roses are a favourite for Valentine’s Day, weddings, and anniversaries — considered by some to be a symbol of love. Rose petals are a key ingredient for the multi-billion dollar perfume industry. Study co-author Mohammed Bendahmane of France’s CNRS research institute said growers are always on the lookout for “blockbuster” roses that combine captivating colouring and alluring scent with pest resistance and low water consumption. The newly-published rose genome will “allow them to considerably accelerate the process of improving different rose varieties,” he told AFP. 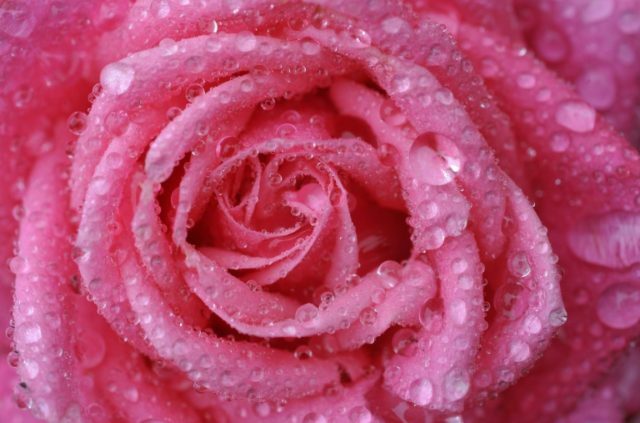 The new DNA map was based largely on the genome of a rose known as “Old Blush” or Rosa chinensis, introduced to Europe from Asia in the 18th century. With its 36,377 genes, the Old Blush is considered one of the main ancestors of today’s tens of thousands of rose cultivars from some 200 known, wild species. “Its contribution to the creation of modern varieties is considered major: it is this rose plant from which we get the trait of repeat flowering,” said Bendahmane.